Day two: first lines! 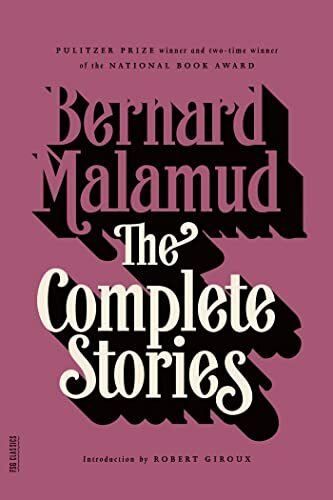 For years, I've loved and admired Bernard Malamud's short story, “The Magic Barrel.” A long time ago, back in Taiwan, I read in the introduction to his collected stories that “The Magic Barrel” was a “perfect” short story. I read the story and agreed. I am always crushed when I show this story to students and they don't fall in love with it. So much information is presented in this short opening paragraph. In the first sentence, we meet the protagonist, Leo Finkle, and we learn where and how he lives. In the second sentence, we are introduced to the problem that will animate the story: he needs to get married to further his career. We might find such a cold-hearted attitude to towards marriage unsettling, and we perhaps guess that Finkle finds it unsettling, too, because in the third sentence we are told he is “tormented” about his decision. In other words, we have a perfect set up for a compelling story: a protagonist has to achieve a goal, but there is something inside him questioning whether his goal is the right one. And at the end of the first paragraph, we are introduced to the character who will force Finkle's conflicts out into the open. Exercise two: create a similarly fast-paced opening. Write a three-sentence opening to a short story or novel (about a very different protagonist and problem) that contains the same kind of information, in the same sequence. Then, if you like, keep writing. A few years ago, Eric Loft lived in a one-bedroom apartment so stylish and well-equipped it was envied even by people who didn't know him. However, after eight continuous years maintaining servers for Yahoo, Eric had become both a little bored and a little lonely, and so when his aunt Grace suggested that he sell the apartment, and use the proceeds to buy back the North Carolina farm that their family had once owned, Eric did not reject the suggestion out of hand. After two tormented days of doubt, he decided that it couldn't hurt to take a look, and so he drove down from Philadelphia to his aunt's house, where she lived with her third husband, a gigantic ex-convict, someone who in his youth had killed two men, or at the very least had hurt them a great deal. I like to do this sort of exercise at least twice in a row. The second attempt feels smoother than the first. Three times usually exhausts me, which I take as a good sign–that my writing muscles have been worked hard. Post what you create in the comments below! Burlesque Press Contributor Daniel Wallace has a great series up this week about a seven day writing jumpstart. He’s got some great mini writing exercises that we think are sure to get the creative juices flowing. Check it out! And let us know how it works for you! I’m going to have to pick up that Malamud book because those first three sentences are amazing. This day two exercise wasn’t just a little more complicated than day one’s exercise. I was sweating it. I’m not sure what I came up with even followed the prompt exactly, but I’ll definitely keep trying. Here’s what I managed. Mary Booker, a recent Long Beach transplant from Oklahoma City, sat on a white beach towel and lifted her floppy sun hat to peer out into the horizon of a strange wide ocean. Two days had passed since her husband of twenty-one years, James Booker, died from a gruesome collision with a telephone pole along PCH, the result of a night of flowing alcohol and an altercation that stemmed from Mary’s perpetual assertions of her husband’s second life with Morgan, a blonde and 19 year-old file clerk at his office, which James had denied since the start of his new job as a full-time real estate agent one year ago. A group of children kicked a beach ball around and laughed along the edge of the water and tormented Mary with their playful and penetrating screams when she thought of her only son Jared, serving the final year of a six year sentence in Solano County for second-degree attempted murder of his girlfriend, and decided to pay him an overdue visit. For the challenge itself, I have two thoughts for making it more manageable. One is to try to work out what Malamud *omits* in those three sentences. We get a lot of information while still missing a lot of other kinds of information (which another writer might try to put in). Malamud leaves a lot of stuff about Leo Finkle out, in order to get started on the story faster. The other trick is to reduce the strain on one’s brain by adapting events from (semi) real life. Inventing characters at the same time as arranging the start of their story so carefully seems an nearly overwhelming mental effort. I think it’s easier to take a challenge in an acquaintance’s life and fit and re-shape it to fit the sentence pattern here. Lastly, this is just my theory, but I feel like a lot of contemporary writers, aspiring and otherwise, have a tendency to merely imply or gesture at the storyline in their openings. The challenge for us, here, is that Malamud just says what his story is, straight away, no pausing. And of course, that’s easier to do when you have written the full draft, not when you’re getting started. That is a great idea, Daniel, to work out what Malamud omits in his sentences as a starter. I will have to try and always keep that in mind. You really hit the nail on the head about implying rather than being concise. That’s been a major problem with me that I hope I can solve by writing more. Thank you for your insight! In the Sydney suburbs, in a small one bedroom cottage with a lean-to office and a lush flower-filled garden (her pride and joy), lived Jane Manson, a trained midwife and yoga teacher who wrote poetry on the side. After 30 years in the profession, Jane had been told (in no uncertain terms) by several friends and family members that it was time to focus some of the attention she lavished on her patients and clients on herself. Since work had been everything to her for so long, she took several weeks to mull things over, then decided quite suddenly; she would finish up with her current clients by the end of the month and move to Alpha, a small town in the Outback that she had visited 10 years earlier. Jenn: very cool! I wonder if we could know a specific person she is going to visit in Alpha, and get a hint of why that person is going to be a lot of work… Just a thought. Thanks for this exercise! I have a story that needs a total overhaul, and this should help me get started. Twenty summers ago, Kate Bingham lay in a tiny hospital room, small enough to be uncomfortable for even a single patient, but this one was cramped with two teenage girls, both recovering from surgery to fuse their crooked spines. Kate was near the end of her stay and tired of hovering family members trying to tend her every need, while her roommate, Janie, a ward of the state with no visitors, was just two days into recovery and in terrible pain. Still several days away from her release, Kate spent sleepless nights fantasizing about all the fun things she wanted to do when she left the hospital, and one night her thoughts settled on the oversized basket of fireworks her uncle had delivered amidst declarations that it was wrong for any American kid miss out on the Fourth of July; Kate decided she agreed with him and that she would find a way to share the gaudy display with Janie before she was discharged. This one was hard, but I really enjoyed doing it! Two months ago, Sonja had moved into the upstairs loft of her son’s Cape Cod house, a room filled with his successes—the college diploma, pictures of the happy wife and kids, the rows of published books—which only reminded her of her failures, and tried to adjust once more to a new life. This morning, after a good cry, she’d emailed her latest job application, checked her declining bank balance, and then deleted three “sorry, you’re not a good fit” messages before she read the email from her last ex-husband asking her to come back home. It took her one hour to talk herself into responding, two hours to take a shower, do her hair and face, and agonize over her outfit, and three hours to drive to what had always been “his” place and never “their’s” while she rehearsed over and over what, exactly, her answer would be. I like this a lot. The two hours she takes to “shower, do her hair and face” suggest an uncertainty about her choice that makes this very interesting. Thanks much for your innovative writing approach. You make writing sound easy. I’ve done two exercises. Would like to hear your comments. 1 Tigers, if unprotected, will become extinct. 2 His colleague, cunning and selfish, never listened to his words. 3 The boss gives concessions only to those who are very sly like him. 4 I appeal to your common sense to stop pulling the class topper’s hair. 5 She panicked, cried, and swooned when he came home drunk. For over 20 years, Mary had been buying books and reading them in the hope that she will become a short story writer one day. Her friend Rita, who knew Mary’s ambition, told her to stop reading and write at least a paragraph. This sudden challenge triggered fear and shame in Rita, and forced her to write the first sentence in her life: I lack imagination. These are cool. For the first set, I like the “sly” boss. Sounds like there is more to describe there. For the second, I really like the final sentence: “I lack imagination.” Its finality suggests a character about to go off and do something extreme. Not long ago there lived in a southern Colonial house, in a pink-painted room, where china eyes starred wide, Annie Stewart, a girl of six. Annie, after six years living in Alabama, was to move in with her grandmother in Montana and had be told she needed to tell her friends goodbye. Since she didn’t understand why she had to move, after two days of crying, she sneaked out the back door with her candy-striped knapsack and the doll she called Daisy determined never to be found. Hi Sylvia–this is good stuff–makes me wonder about the rest of the family, what upheaval means they are sending her to her grandmother. 🙂 I was imagining some local interior design custom. Fifty years from now, in a decaying space station crowded with artifacts and relics from the ruined Earth, although with increasingly few edible or drinkable resources, lived a female astro-physicist, Lana Davids. Over the previous year, Lana had maintained a barricade against the group of tentacled aliens living on the space station’s outer modules. However, as her recycling systems grew more frail and limited, Lana knew she had to seize the resources stored in the aliens’ quarters, and so, after two days of tormented indecision, she booted up the station’s deranged and treacherous AI, and requested its help.